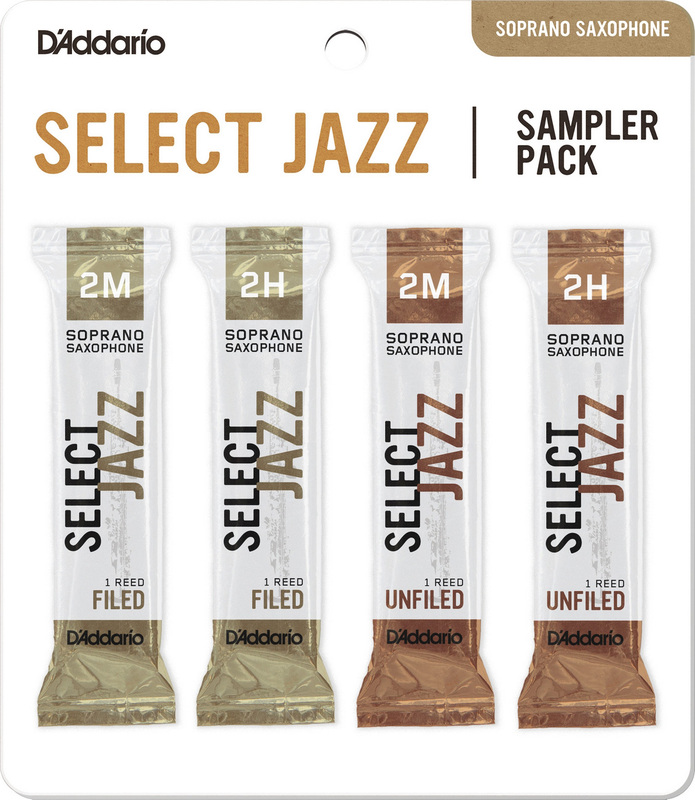 These new sampler packs of Select Jazz reeds offer the player a chance to experiment before committing to a box. When exploring new reeds it's a great opportunity to try a couple of different strengths and also in this case a couple of different types of cut - filed and unfiled. The filed reeds go through one extra process in the production method which is essentially the removal of some cane from the shoulders of the reed, you can also see a definite cut across the heel of the reed. This removal of the cane in the shoulders is supposed to allow for faster vibration of the reed and perhaps a clearer attack. The unfiled reed has that cane left in the shoulders which can add a little extra resistance and in our experience creates a slightly more textured sound. Unfiled reeds tend to be best suited to American facing mouthpieces (Link, Meyer etc) but it's quite common for players to use filed reeds on these models as well because they like the rapid response. 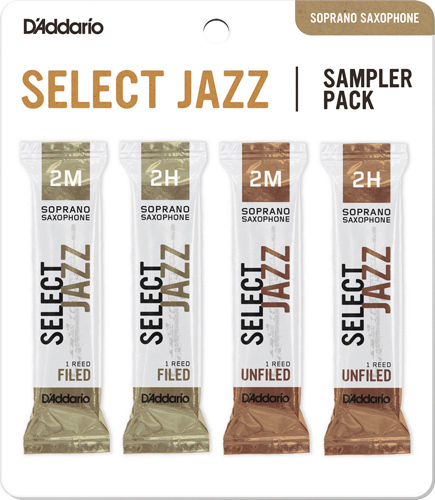 Jazz Select reeds have the thickest spine and blank of the whole D'Addario range and offer the player a reed with great projection, focus and a vibrant sound. The production methods are cutting edge and this results in a very consistent set of reeds. Why not try out this sampler pack to get started.